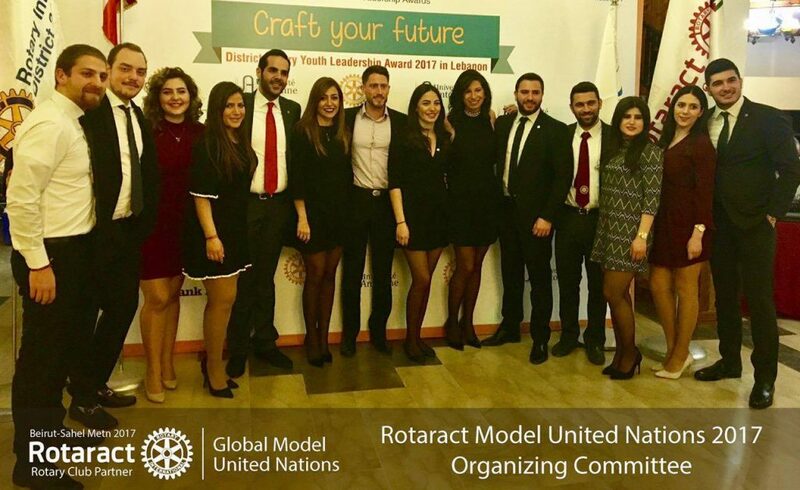 On behalf of the Secretariat, it is my honor and pleasure to welcome you to the fifth edition of Rotaract Global Model United Nations, organized by the Rotaract Club of Sahel Metn which will take place in a breath-taking and magical country, Lebanon, from the 17th to the 20th of August, 2017. My name is Natalia Hermida from Colombia, I have been a member of Rotaract for 3 years and have attended several MUNs in various capacity around the world, since 2003. I gained a Bachelors in International Relations from the Universidad del Norte in Barranquilla, Colombia. For this edition, we have designed an experience that involves a new dynamic within the committees for you, the Delegates, to work hand in hand towards a Free Nuclear World. You will have the opportunity to meet qualified experts in the field, who will guide you through this journey to reach at viable solutions through negotiation and understanding. Delegates, our world has been plagued with every possible conflict that are man-made and self-imposed. As ambassadors of your countries, the onus is on you to convince the International Community about the importance of a Free Nuclear World. Addressing this issue is not only timely but very crucial as some countries continue to develop their nuclear arsenal. Preserving the harmony between nations and secure the future of our citizens, especially our future is paramount. Rotary and Rotaract Global Model United Nations (MUN), is an organization of young people and partner of Rotary International, implemented MUN within the organization for the sole purpose of reaffirming the importance of working together and nurturing acquaintances as an opportunity for service. Maintaining this legacy can only happen with a more active involvement of young people in all areas. Youths can be very powerful and by working hand in hand we can show the world we do have a voice, and it is strong. We have a commitment a build bridges between nations, turning our differences into something positive and using them as a tool to make this world a better place. I strongly believe that what unites us, is stronger than what divides us.